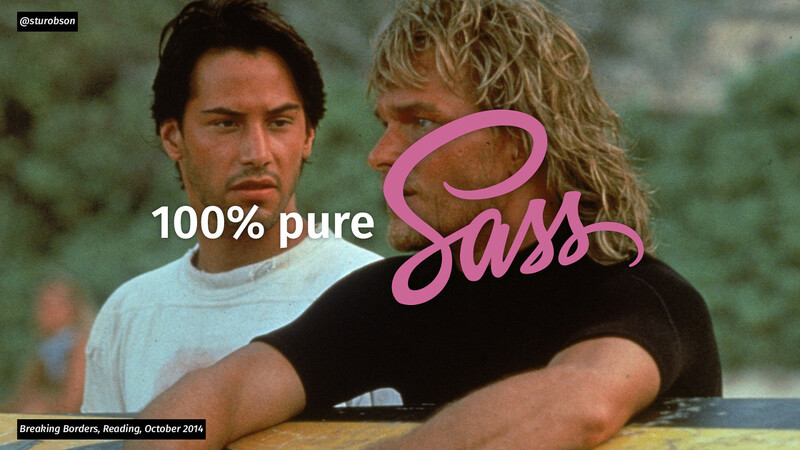 Over recent years Sass has seen an explosion in popularity in front-end development. This talk quickly walks you through the easy wins you will get when using Sass features such as nesting, variables, mixins and more. It will also discuss that although Sass has these features to make your CSS powerful, you’re not obliged to use everything in it’s toolbox and even using some basic Sass features will make you a faster, leaner, better developer.